Dennis Poulette is the Director of the Center for Youth Ministry in Latin America, Youth Ministry Professor at Mexican Baptist Theological Seminary, author of many youth ministry articles, a colleague and friend of mine with Youth Ministry International and the manager of the Los Pollos Locos fantasy football team in the inaugural season of the YMI League (he could use your prayers as he faces my team "BCwreckingcrew"...actually he should be more concerned about my son's team..."Mini-Mzungu"). 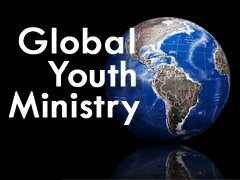 Dennis has been running a series on his web site called Global Youth Ministry, and I asked him if I could post his most recent article on my blog, as I believe it really captures what ninetyseventhree is all about, what YMI is all about and what I want my ministry to be all about. This post is part of a series on Global Youth Ministry. Be sure to check out part 1 - Why Global Youth Ministry is Important and part 2 - What’s a Global Youth Worker? Some say that apart from church planting efforts, Global youth ministry training should be the top priority in global missions. I believe it’s a ministry that every youth worker should personally be involved in. 1. Personal obedience - everyone should be involved in world missions because God has commanded us to make disciples of all nations. Your participation in global youth ministry will strengthen your personal relationship with God. 2. An example for your students. If you expect your young people to have a heart for missions, they need to see that you have a heart for missions. Being a global youth worker will allow them to see your burden for the nations. 3. An example for your church. I always hope that my youth ministry can be an example to the church. If I am interested and involved in global missions, my students will be an example for the church through their support for global missions. 4. Fulfillment using your gifts in global ministry. You may not believe me when I say this, but you have something to offer. You can pray more specifically by getting to know other youth workers overseas. You can come for a week. You can mentor long-distance. You could even go long term to train others. There are too many opportunities, and there are many different ways you can use your gifts. 5. You can use your experience. Someone once told me that everything that happens to us is just part of the training for what God has for us in the future. You have experience and training that others do not, and this experience and training that you have had in your life should be put to use in the training of others. If you’re interested in training youth workers internationally, please leave me a comment or contact me. Youth Ministry International is constantly looking for international trainers, and I’d love to talk to you more about the opportunities there are all over the world. If you would like more information on partnering with what YMI is doing around the world visit the YMI Blog or contact me as well. Global Youth Ministry and the ninetyseventhree statistic go hand in hand...Is God calling you to partner with us in some way? Looking at what we do, it definitely lends credence to what we do to look at it from a global point of view. Nothing shows love more than a heartfelt donation --- given in kind, in person. Good job Dennis and Brent. I will use these 5 benefits as I teach Contemporary Youth Missions this week in Kiev. Of course, we could also add the personal benefits we get bt being global youth worker's such as the joy we get in being the teacher. Yesterday I had a first - I had a Russian, a few Ukrainians and a Kazakh in the same class. We may give up Pizza Hut, but I think it is a no brainer about the greater benefits.